If extending a Use Case, you can specify the points of extension with Use Case Extension Points. 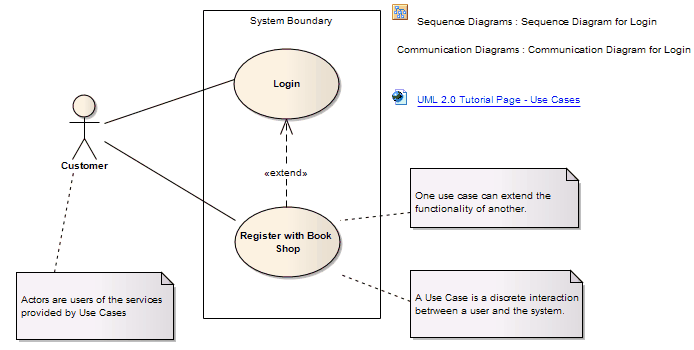 To display the attributes, operations or constraints of a Use Case on a diagram, use Rectangle Notation. Enterprise Architect also provides two stereotyped Use Cases: the Test Case and the Business Use Case. A UseCase is a kind of behaviored classifier that represents a declaration of an offered behavior. Each Use Case specifies some behavior, possibly including variants, that the subject can perform in collaboration with one or more actors.